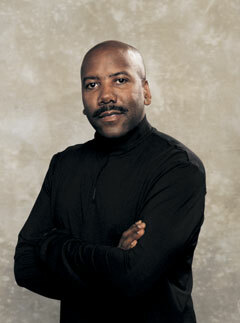 Nathan East has played bass on many of the best-loved recordings of the past 20 years. 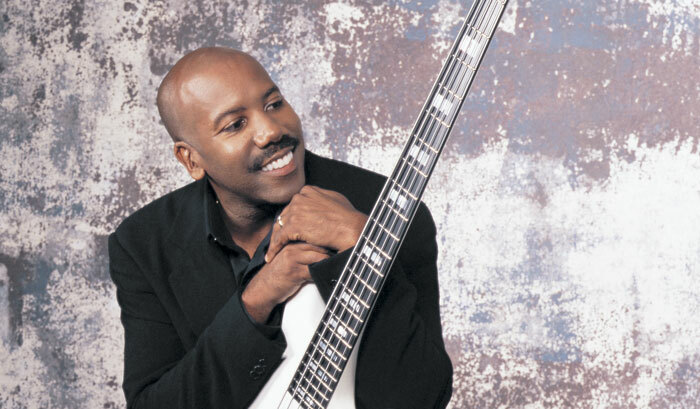 In addition to his work with such legendary artists as Whitney Houston, Michael Jackson, Dolly Parton, and Barry White, East's own GRAMMY®-nominated group Fourplay has topped Contemporary Jazz charts numerous times since its inception in 1991. His latest efforts include sessions with Keb' Mo', B.B. King, and Luis Miguel. As East says, "There are definitely some good projects in the works!" Nathan spoke to us recently from his home in Southern California. With all the changes in technology and musical style over the last 20 years, how has the session bassist's gig changed? Twenty years ago, every time you went into the studio you got to see your favorite group of guys. Nowadays most of the work is alone, without a band. Recording has really turned into a lonely business! Everybody has Pro Tools, and they want control over each individual instrument. It's more about making things perfect and less about capturing a moment in a room with a group of musicians. But even though it's changed a lot, it's still great to be part of a lot of good recordings. I've been on some great projects--ones where I've walked out of the studio and thought, "Wow, that was part of history." Do you often find yourself being asked to replace synth or sampled bass lines from a demo? Yes. Nowadays most songs have been demoed beforehand, and there's some sort of synth bass used as a guide. I have to admit, depending upon the programming and the sound, sometimes the synth bass is right for the song. So it's almost like competing for position on the track! However, I do find that most people still choose the spirit of the live player. These days a lot of hip-hoppers are calling in the guys to play bass and guitar to keep the feel organic. You've developed a signature bass, the BB EAST, for Yamaha. What made you decide to collaborate on a new instrument? It started with Yamaha's first 5-string bass, the BB5000, which I had a lot of input into. So it was nice when they said, "Let's do a signature model." We were going for a smallerbody design and shape, and we fooled around with both J-and P-style configurations, trying to get something that would be universal for different playing situations. I wanted a sound that was percussive, but with body-something that would cut through for both recording and live. What's unique about the EQ circuit on the BB EAST? We were able to get warmth and fatness without making it muddy. People seem to like the way it sits in the mix. For a lot of the music I do-pop, R&B, rock and roll-we just need a certain presence, and that's what this bass gives me. You were also involved in the creation of Yamaha's NE-1 bass equalizer. That box is great-it's a stand-alone EQ that cuts mid frequencies, gives more high-end for when you pop, and makes the low end rounder and fatter. It was sort of an accident that turned into a box-it started out as a trial device to enhance the sound of an existing bass. How much do you change your settings and your touch on the instrument when you move from one genre to another? To this day there's a sound that I usually start with: everything wide open, right down the middle. A lot of times that just ends up being the right sound. Then I can adjust my touch and the details of my performance accordingly. If it's hip-hop R&B, you might want to roll off the top and try to create the sound of a synth bass, more of a bottomy tone. But usually that starting sound is the sound, and I make it work by the energy and the articulation I use in the playing. Out of the hundreds of sessions you've played, are there a few that most stand out in your memory? I've been blessed with a lot of quality work in my career. In 20 years, there's not too much in there I wish I hadn't done. I've been on some great projects. For instance, the Clapton sessions are very memorable-the ones with Phil Collins on drums and Greg Phillinganes on keyboards. We weren't just recording-it was like a concert. The Anita Baker sessions were very musical and memorable and of course the Fourplay sessions are very rewarding, since I'm a founding member of the group. Or Quincy Jones sessions, where I've walked out of the studio and thought, 'Wow, that was part of history.' I must say that I've been very fortunate. You don't sound jaded about it! I'm glad I haven't gotten burned out like a lot of players do. I still appreciate the calls, and the fact that the calls are so prestigious and high quality. For me, it's part of the dream that I'm living.